It was the lyric of 'Walk On' that gave the title to the album on which the song appears: 'The only baggage you can bring is all that you can't leave behind.' The track, inspired by Aung San Suu Kyi, leader of Burma's National League for Democracy and under house arrest by the military junta running the country, was the fourth single from All That You Can't Leave Behind and went on to be named 'Record of Of the Year' at the Grammy Awards in 2002. 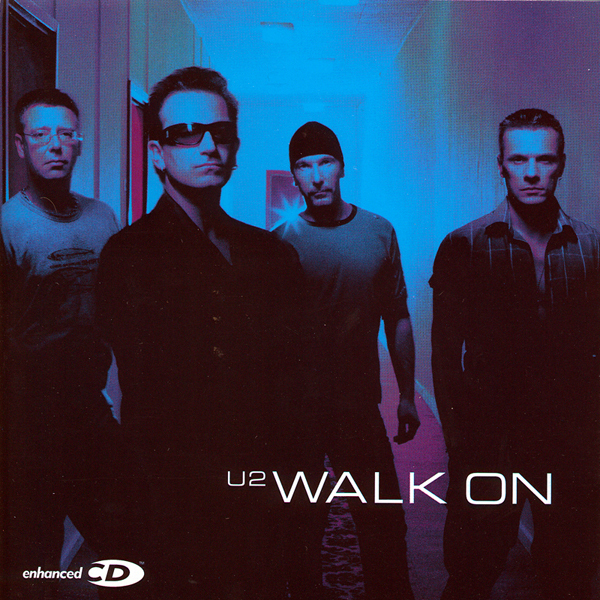 Because of 'Walk On', the album was banned in Burma, but with its rapid arrival as a live favourite from the Elevation Tour on, the song proved was powerful in introducing thousands to the campaign for freedom and democracy in the country. On the U2 360° Tour fans wore masks of Aung San Suu Kyi when 'Walk On' was performed. More than ten years after the release of the song, Aung San Suu Kyi, now released from house arrest, visited Dublin where Bono presented her with Amnesty International's 'Ambassador of Conscience' Award. Find out more about the campaign for democracy in Burma. Bono, talking about the song Walk On, in an interview with Sonicnet.com.